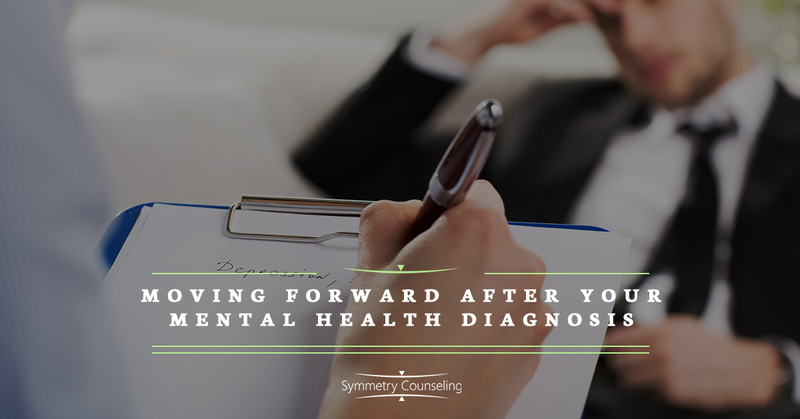 When first seeing a therapist or psychiatrist, a diagnosis is usually determined. It can cause a lot of uncertainty and the possibility of not knowing what the diagnosis means or what to do with what has been told to you. When this occurs, it tends to change our lives and the lives of the people we use as supports. Being able to not allow the mental health diagnosis drive our life, but instead for us to think of it in a positive light. When we are first diagnosed with a mental illness, there are a lot of changes that occur: maybe medications, adding doctor’s appointments in, having to learn coping skills, etc. But also thinking about what we were doing before the diagnosis: what changes were going on in our lives? Career? Moving? School? Family? A bunch of changes have happened in your life, but why are we allowing our mental health to make it any different? Be open to change and the differences that you are not going to encounter. Accept it, but do not let it define who you are. There is nothing to be ashamed of if you have a mental illness. Do not be afraid of being you. You have to accept that this is something different that is going on in your body and mind. Reaching out for support from a trained specialist and leaning on your support system will make this a lot easier. Do not allow “anxiety” or “depression” to define you and control who you are around others. Being diagnosed with a mental health concern leads to a lot of questions — it is like hearing a foreign word at times. Do your own research. Ask your therapist or psychiatrist for more information about the diagnosis and what it means. Trust the only person you can 100% — YOU. You are the only one who can tell your psychiatrist or therapist how you are feeling. You are the only one who knows what is going on in your mind. I tell my clients all the time, that to achieve the best results in therapy is by being honest with me. I believe what you say and if you are saying that everything is fine, that is what I believe. People can tell you how you are acting, but no one knows how you are actually feeling. Trust yourself. Trust your emotions. Trust your behaviors. Trust your mind. If you have read my other blogs, I am a huge proponent on self-care. Self-care is the biggest thing that can help you throughout anything (with or without any diagnosis). Being good to yourself. Often times, we are taught to care about other people and put other people’s thoughts and feelings before ours. What about yourself? When was the last time you actually did something good for yourself? Having a positive mindset throughout all of this important. You are the only one who can be resilient and strong throughout this process. Be true to yourself. Be honest. Understanding that there will be some days that will be tough, but there are also good days to follow. The journey is not easy, but it is do-able. If you have recently been diagnosed with a mental health disorder and have questions/concerns of how to deal with it, please reach out to any of our highly trained therapists to help you. Remember, you are not alone, and it is okay to ask for help!